Data Science is the emerging new hot tech field, which is a blend of different disciplines including statistics, machine learning, and computer science. Python is increasingly becoming the language for data science. It has a strong set of libraries such as Numpy, Pandas, scikit-learn, Matplotlib, Ipython and Scipy to support its usage in this field. 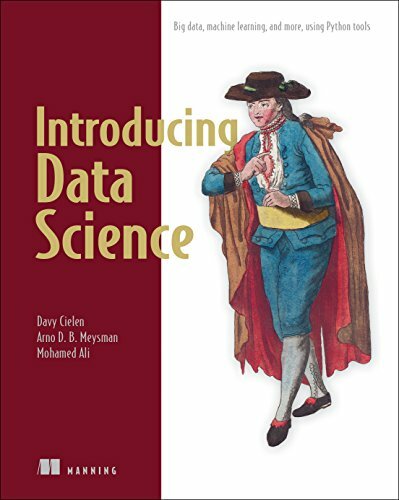 If you're looking for some books that will help you to understand the basic and advanced concepts of data science, you've come to the right place. 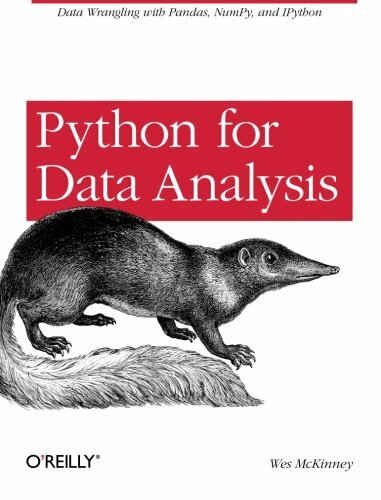 Using a data mining application, I've gathered a list of some widely reviewed data science books with Python. 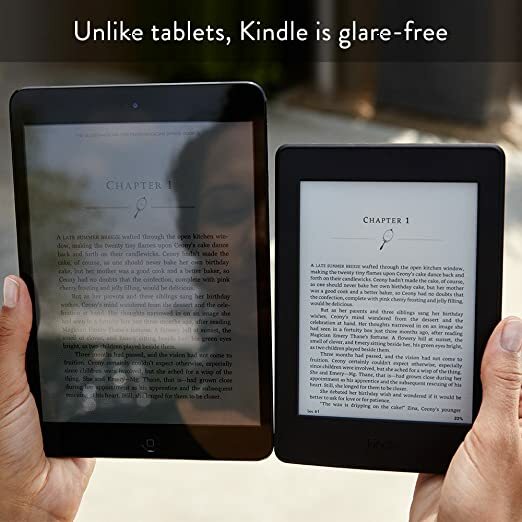 So scroll down quickly and pick up the books! 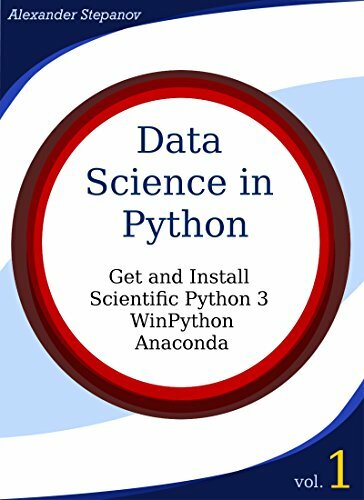 read more Here you'll get some best books on Data science using Python. Python for Data Analysis offers every aspect of manipulating, processing, cleaning, and crunching data in Python. Following a practical approach, it provides a modern introduction to scientific computing in Python. And helps you to design data-intensive applications. 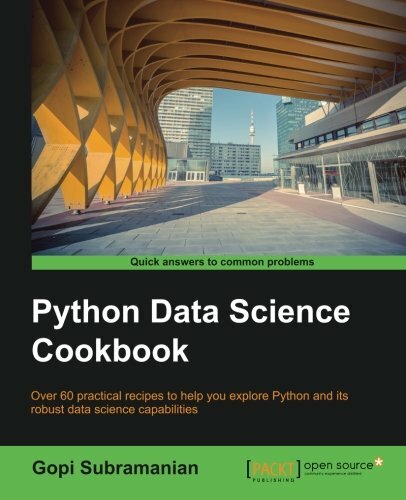 With this book, you’ll explore and learn the Python language and libraries you need to effectively solve a broad set of data analysis problems. 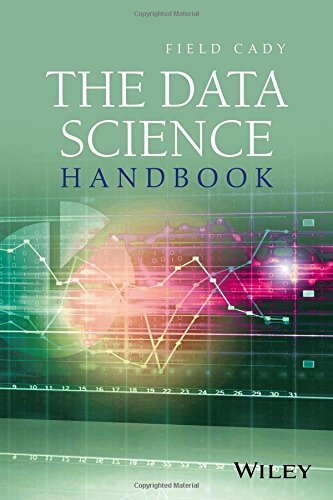 This is a useful book for the beginner in Data Science. It shows you how fundamental data science tools and algorithms work by implementing them from scratch. With this book, you'll learn how to use data science libraries, frameworks, modules, and toolkits. If you're a bit weak in mathematics and programming, no problem. You'll get comfortable with the math and statistics at the core of data science, and with hacking skills you need to get started as a data scientist. It is an essential reference book for scientific computing in Python. Because it describes all Python Data Science tools, including IPython, NumPy, Pandas, Matplotlib, Scikit-Learn, and other related tools. With this book, you'll learn how to manipulate, transform, and clean data. And visualizing different types of data. Introduction to Machine Learning with Python will teach you how effectively you can use machine learning for commercial applications and research projects. It shows you the steps necessary to create a successful machine-learning application with Python and the scikit-learn library. It mainly focuses on the practical aspects of using machine learning algorithms, rather than the math behind them. With this book, you can build your own machine learning solutions easily. 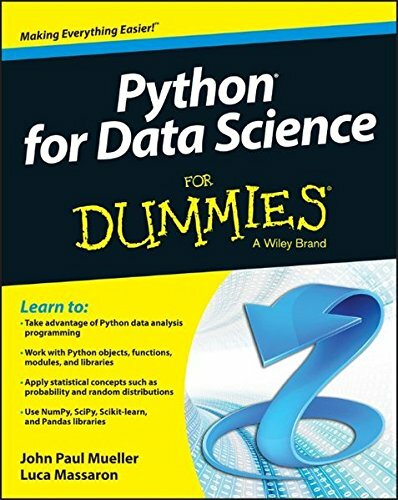 Python for Data Science For Dummies is useful to beginners who have a little knowledge about Python and data science. It provides you with the basic understanding of Python data analysis programming and statistics to help you build a solid foundation in data science concepts. With the help of this book, you’ll get familiar with the Python development environment. Completing this guide, you can manipulate data, design compelling visualizations, and solve scientific computing challenges. This is a comprehensive data science book that covers the analytics, programming, and business skills necessary to master the discipline. It addresses classical statistics to help you think critically about the interpretation of data and its common pitfalls. It also describes classic machine learning algorithms, from their mathematical foundations to real-world applications. With this book, you'll mainly learn the practical use of the tools, however, when theory is required, it is done in an intuitive way to encourage your critical thinking and creativity. 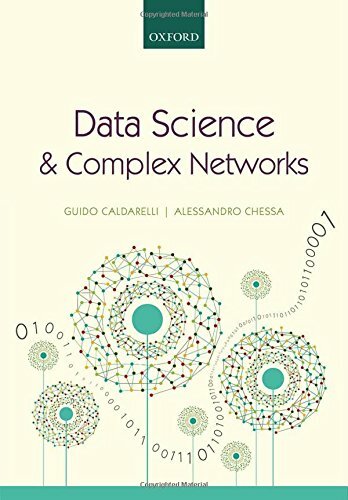 This book will teach you everything of data science from simple to the most complex algorithms available in the Data Science. It shows you how to mine data and derive intelligence from it. For each concept, it provides simple and efficient Python recipes that will not only show you how to implement these algorithms but also clarify the underlying concept thoroughly. With this book, you'll understand the concepts of data mining with extensive coverage of machine learning methods. 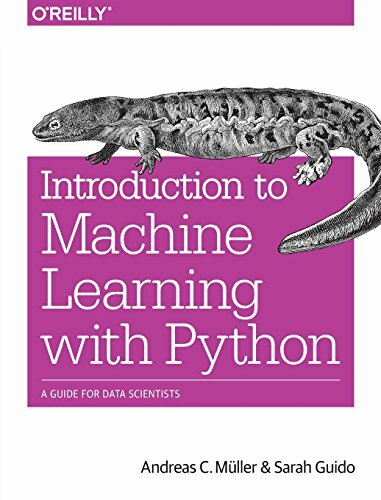 You'll also learn a number of Python libraries available to help implement machine learning and data mining routines effectively. 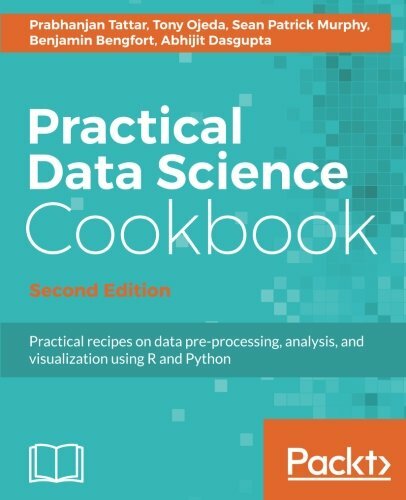 Practical Data Science Cookbook is an essential guide to learn how to work with data. It'll give you a deeper insight into a world of Big Data that promises to keep growing. It provides you with a hands-on exploration of data science. 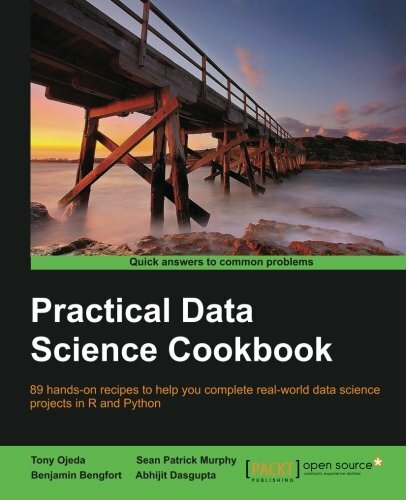 With a comprehensive range of recipes on fundamental data science tasks, you'll uncover practical steps to produce powerful insights into Big Data using R and Python. This book offers you how to accomplish the fundamental tasks that occupy data scientist. Using the Python language and common Python libraries, you'll learn how to deal with data at scale and gain a solid foundation in data science. It gives you practical experience with the most popular Python data science libraries, Scikit-learn and StatsModels. Completing this book, you’ll have the solid foundation you need to start a career in data science. 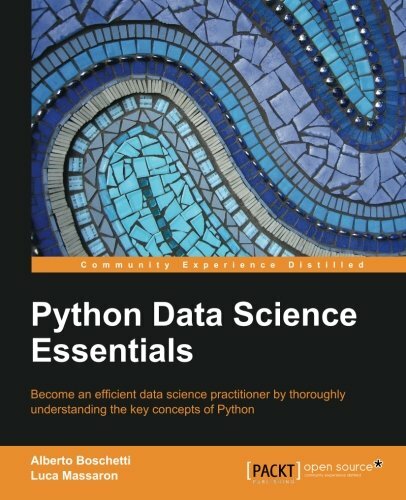 Python Data Science Essentials will guide you across all the data munging and preprocessing phases. It'll explain all the core data science activities related to loading data, transforming and fixing it for analysis, as well as exploring and processing it. Finally, it will complete the overview by presenting you with the main machine learning algorithms, the graph analysis technicalities, and all the visualization instruments that can make your life easier in presenting your results. 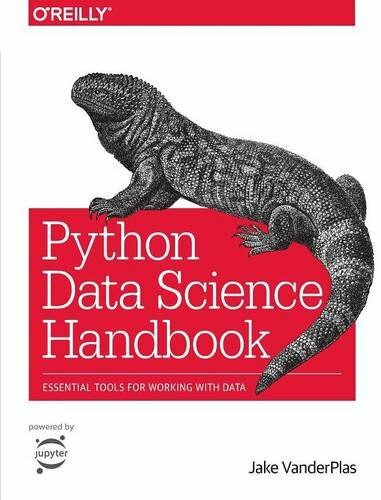 Keep this handy quick guide at your side whether you're a student, an entry-level data science professional converting from R to Python, or a seasoned Python developer who doesn't want to memorize every function and option. Python is the most popular programming language in scientific computing today. This series is for people who want to start using Python 3 and its popular extension libraries quickly. I assume you are familiar with Python. 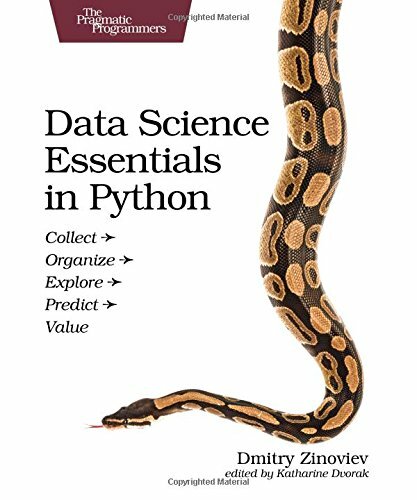 This short introductory volume 1 is intended to get you started with scientific Python distribution necessary to run examples from other volumes. The text provides information on the structure of the data and on the quality of available datasets. Furthermore, it provides a series of codes to allow immediate implementation of what is theoretically described in the book. Readers already used to the concepts introduced in this book can learn the art of coding in Python by using the online material. To this purpose, the authors have set up a dedicated website where readers can download and test the codes. The whole project is aimed as a learning tool for scientists and practitioners, enabling them to begin working instantly in the field of Complex Networks. Data Science and Analytics with Python is designed for practitioners in data science and data analytics in both academic and business environments. 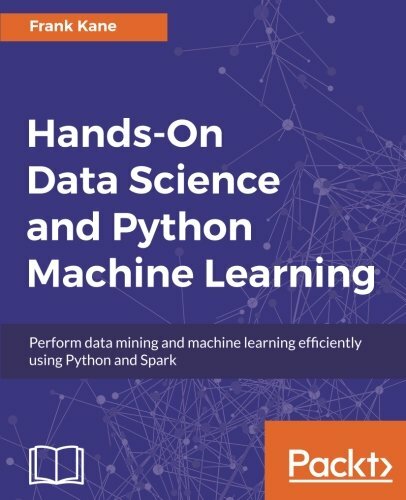 The aim is to present the reader with the main concepts used in data science using tools developed in Python, such as SciKit-learn, Pandas, Numpy, and others. The book is organized in a way that individual chapters are sufficiently independent from each other so that the reader is comfortable using the contents as a reference. The book discusses what data science and analytics are, from the point of view of the process and results obtained. Important features of Python are also covered, including a Python primer. 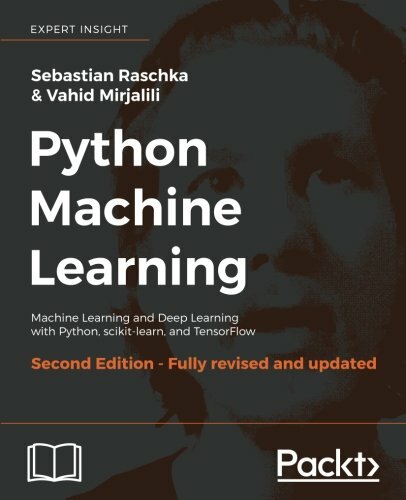 The basic elements of machine learning, pattern recognition, and artificial intelligence that underpin the algorithms and implementations used in the rest of the book also appear in the first part of the book. 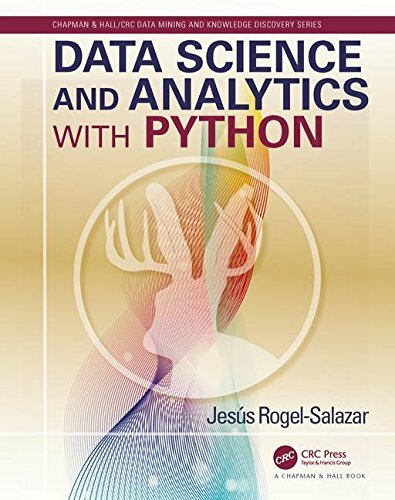 Regression analysis using Python, clustering techniques, and classification algorithms are covered in the second part of the book. Hierarchical clustering, decision trees, and ensemble techniques are also explored, along with dimensionality reduction techniques and recommendation systems. The support vector machine algorithm and the Kernel trick are discussed in the last part of the book. Real-world data sets are messy and complicated. 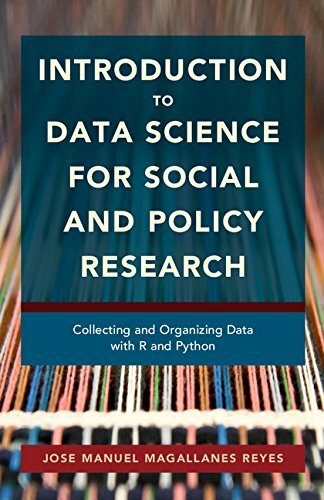 Written for students in social science and public management, this authoritative but approachable guide describes all the tools needed to collect data and prepare it for analysis. Offering detailed, step-by-step instructions, it covers collection of many different types of data including web files, APIs, and maps; data cleaning; data formatting; the integration of different sources into a comprehensive data set; and storage using third-party tools to facilitate access and shareability, from Google Docs to GitHub. 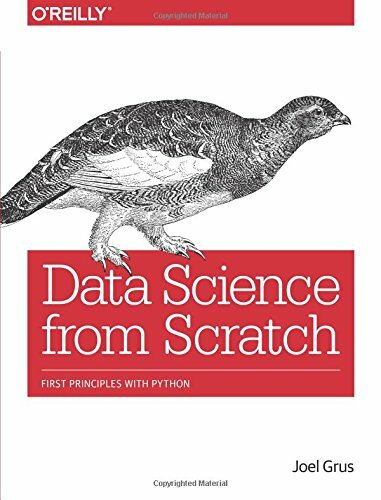 Assuming no prior knowledge of R and Python, the author introduces programming concepts gradually, using real data sets that provide the reader with practical, functional experience.